To prove to you how small they really are, here you can see how lost it looks in the palm of my hand. 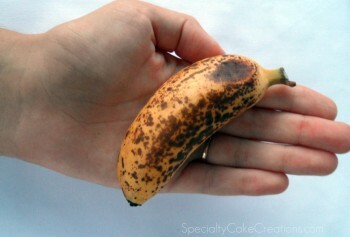 I usually like bananas most when they are still quite firm, with just a few brown spots. Bananitos, however, have a lot firmer texture, so that it was quite strange eating them on the first day. But they ripen quickly and after just a couple days the texture had softened quite a bit. And despite my visual impression trying to tell me that these many brown spots make not for a tasty banana, I really enjoyed this ripe bananito. One more difference I noticed, that bananitos have a lot thinner peel than regular bananas. It’s just a little thicker than the peel of an apple. Another visual proof. 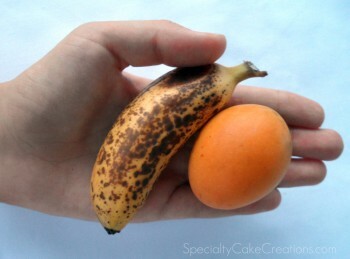 A bananito + a mini mango still fit comfortably into the palm of my hand. Going to the market earlier today, I spotted these little, round fruit for the first time here. Initially I thought they were apricots and I was quite excited, as we haven’t seen any apricots, peaches, or nectarines around yet. But upon closer inspection we realized that they were a mini version of mango. We were intrigued. They must have just come into season, as the price for 1 kilo was around $6. From our observation with other seasonal produce, we are guessing that as more of there mini mangoes will become available in the next days and weeks, the price will drop significantly. 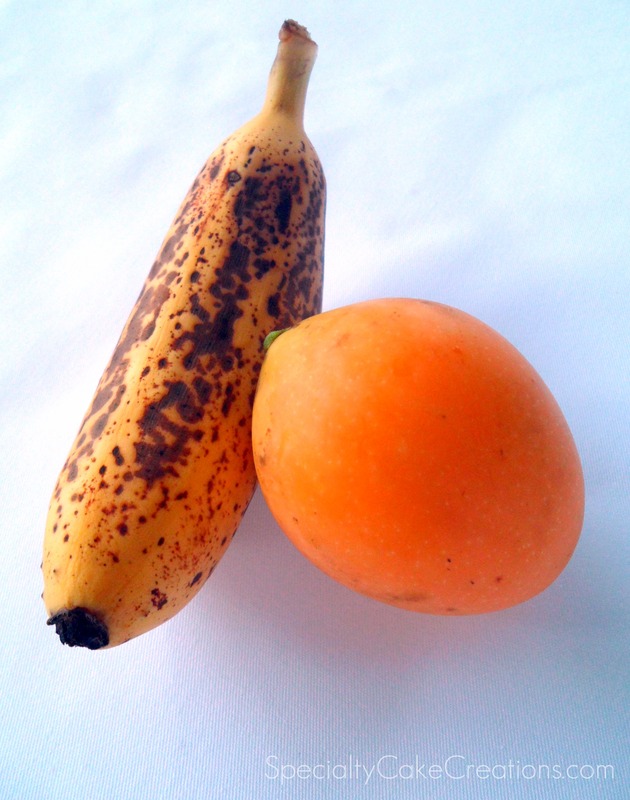 Here in Thailand mini mangoes are called Ma Prang, but they are also known as plum mango and Marian mango. They smell like regular mango, with a firm, slightly crunchy, but thinner skin, so that there is no need to peel the mini mango. The juicy flesh as yellowy orange as the skin, is soft and tastes sweet, but refreshing, and slightly citrussy at the same time. Unlike regular mango, the stone is not too firmly connected to the flesh. I really enjoyed eating the mini mango with just a few bits, without any fuss and mess or sticky fingers.